June | 2014 | Woxford Brewing Co.
Red, crazy-eye red. Vienna malt versus 2-row comes out darker. I’ve seen some discussion that the coffee beans make also darken the color as well. This doesn’t look pale at all. But it’s certainly not a Stout. Massive coffee nose, with chocolate and vanilla. Sweet malts. No hops at all despite the huge hopping. All coffee, and chocolate flavor. Good hop bite but no citrus despite the hop bill. Really impressed with this beer. I’d brew this again, with all 2-row or pilsner to really lighten up the color. I think I’d drop the “flavored” coffee and just got with some of my favorite local beans. I dry-hopped with coffee for 48 hours, next, I’d probably go 36 instead. And also dry-hop with some hops to bring some more hop aromatics back. 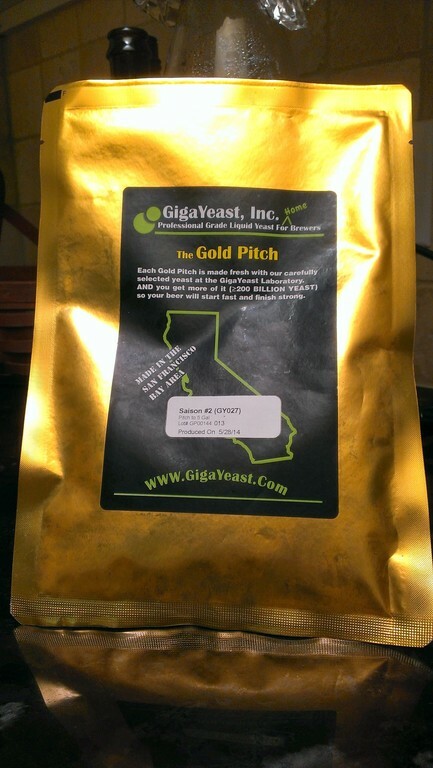 Gold Pitch pouch of >200 Billion yeast, Saison #2 strain. There are a number of new yeast companies just starting up and I’m really excited to see these new strains being picked up. 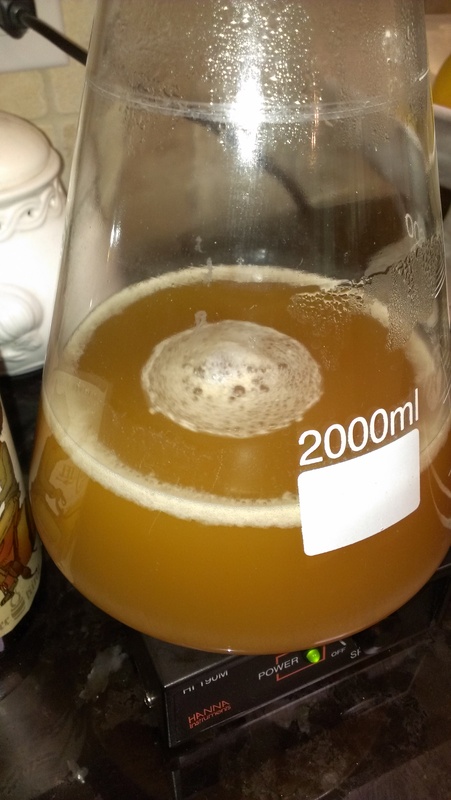 Gigayeast, Yeast Bay, and East Coast Yeast, which I’ve written about before, are finding, isolating and stepping up strains found in great commercial beers and making them available to homebrewers. Some of this comes from the big yeast companies (White Labs, and Wyeast for homebrew) selling their services. The Gold Pitch from Gigayeast sure looks like a Wyeast yeast pouch, and the Yeast Bay vials sure look like a White Labs tube. 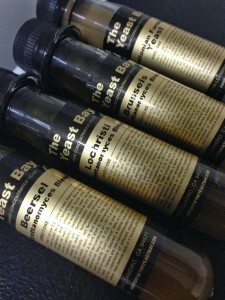 Yeast Bay vials via Ales of the Riverwards Blog. The Saison #2 strain caught my attention, mostly due to the description of having a tart finish. It’s no secret that I have a passion for sour beers, and while I know this yeast won’t produce a sour beer without some bacteria like lactobacillus, I am interested in getting tart beers as well. There are a number of really great saisons that taste tart but aren’t sours. I plan to find out if I can get that same effect with this yeast. Gigayeast describes the flavors as fruity and spicy, so when choosing the recipe I started with my house saison, and dropped the gravity a bit so the pouch could be used without a starter and then switched in some spicy and fruity hops. I’m getting to try out a new (to me) hop, Summer Saaz, which is both spicy and with a touch of fruit when used for aroma and dry-hopping. Another hop favorite, Meridian, which was used in an amazing Sour Pale Ale (Dr. Vainglory at Black Star Coop), which has lots of fruity, punch-like flavors. And some traditional english Fuggle for that nice earthy spice. I also didn’t want to change the recipe up too much to help detect the differences between how Rekkae is normally brewed and what the new ingredients are bringing to the familiar beer. Jester King just released new beer. They’ve been releasing one beer after another after another and another one. Which is completely awesome since it’s a local brewery. My favorite of the new releases is Biere de Miel which is the perfect balance of funk, tart and complex flavors. The nose is all honey sweetness and tart funk. The flavors are a tidal wave of sweet and sour; it ebs and flows as both fight for dominance. The sour wins in the end and the long, dry finish is amazing. OK, so I love this beer. Ad over. One of the most interesting aspects about this beer to me was the timeline. On their blog post, Jester King mentioned the fermentation dates: brewed in December, 2013. It was packaged in April, and released in May. Given the level of aggressive sour flavor, I’m astounded at how quickly this beer came together. Most of my “quick” sours haven’t really panned out, as to be expected. But a four mouth souring timeline is very doable. I emailed the head brewer, Garrett Crowell, who is just as gracious and generous with information as the co-founder Jeffery Stuffings, and asked about the IBU levels. Garrett indicated that the first batch had about 8 IBUs which resulted in the beer reaching terminal pH before fermentation was finished. Needless to say, I’m very interested in getting these dregs up and running. After about three days on the stirplate, some initial activity showed up. I think that’s remarkably rapid growth from just what was at the bottom of the bottle. 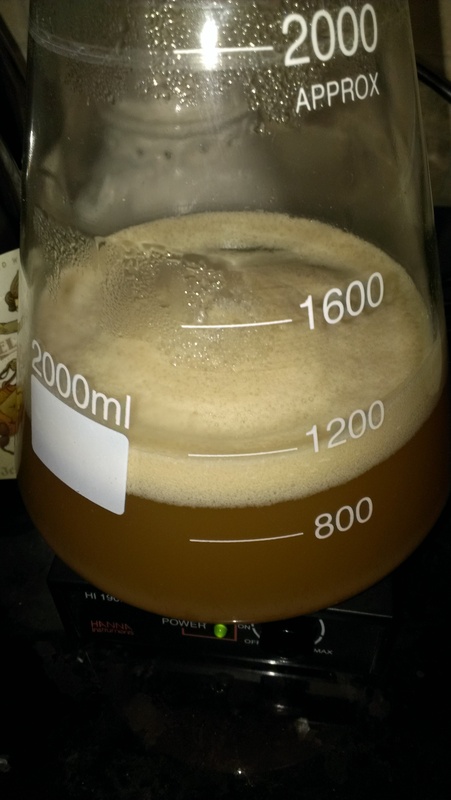 Initial krausen forming after three days on the stirplate. And it keeps on going. I plan on stepping this up with another 1L addition to have a large enough pitch for a friend’s 7 gallon batch of a sour English Mild. If all goes well, then this may be the new yeast I use for making a base sour saison to be used in blending. Full Krausen! Be fruitful and multiply! 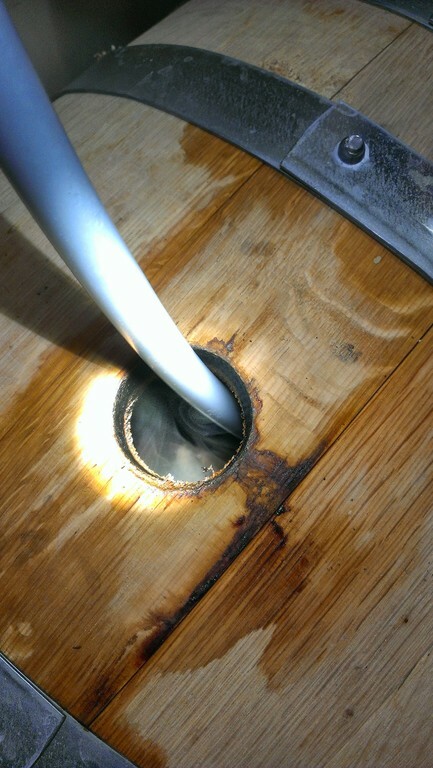 Filling the rum barrel with Makkurokurosuke v4. The CO2 blanket shows up nicely. It’s been two years since I’ve brewed this recipe. 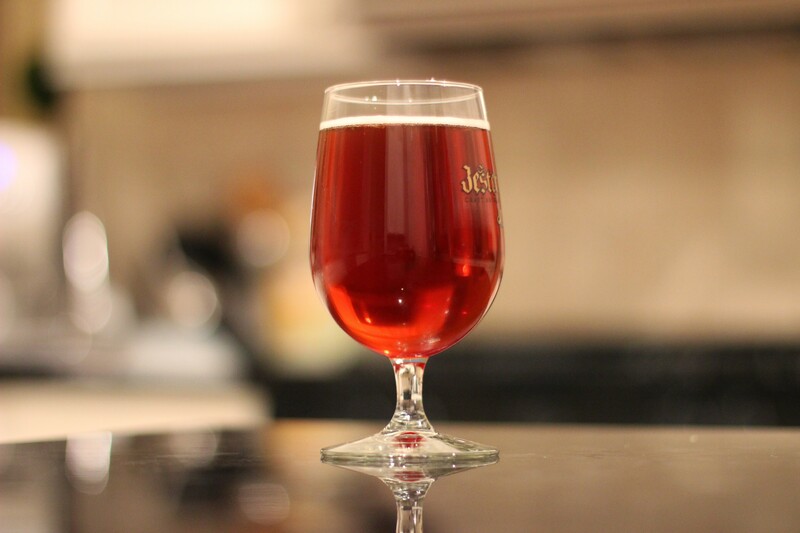 It was one of my first attempts to clone a commercial beer. Belgo IPA from New Belgium was an amazingly good beer; one that I drank a bit too quickly. After two six-packs disappeared rather quickly I decided it was time to make a larger batch. With some research on line and some brewing experience, I came up with the following recipe and posted it onto homebrewtalk.com. I learned during the brewing of this beer (and the previous few IPAs) that I had some water issues. But, other homebrewers attempted my recipe and produced great beers. I’m pretty happy with having a recipe that other folks have tried and best of all, really enjoyed. 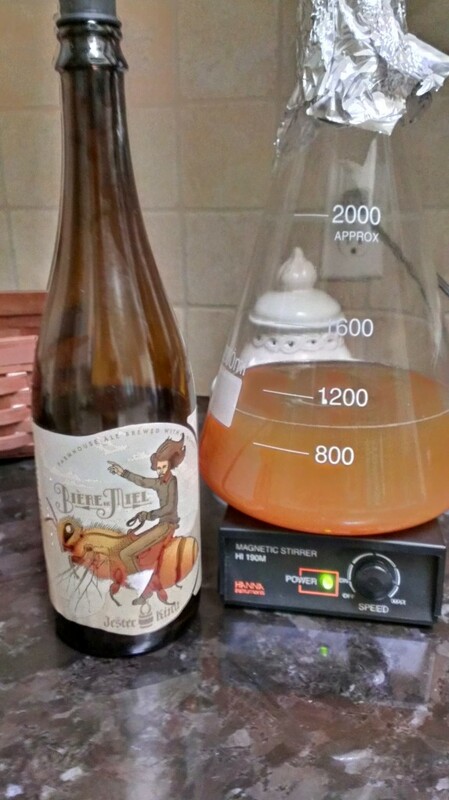 While I do suffer from brewer’s wanderlust when it comes to repeating recipes, I knew I needed to re-brew this now that I’ve dialed in my water process which consists of 100% Reverse Osmosis water and some salts, calculated by Brew ‘n Water spreadsheet.